If you thought Red Bull’s funky videos wouldn’t be the same now that Daniel Ricciardo has left the team, you’d be right - after all, Pierre Gasly is a different person. However, if this beautifully-shot karting video is anything to go by their teammate relationship is already getting off to a great start. 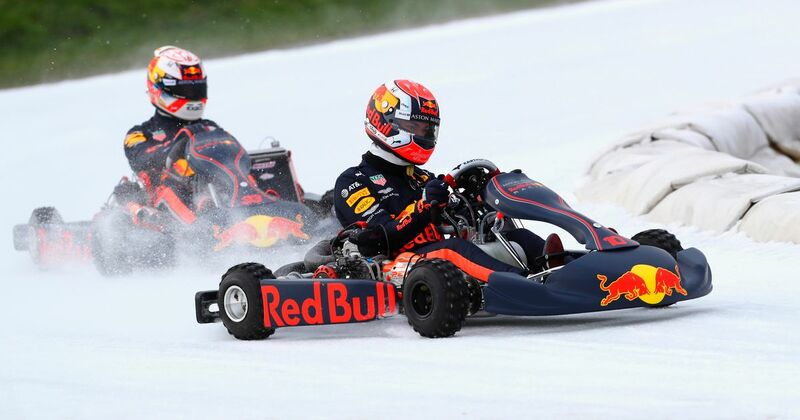 Gasly and Verstappen took to a speed skating circuit in the Netherlands in Red Bull-liveried karts equipped with studded tyres. There’s already a blossoming bromance - you don’t just share soup with anyone!